In my work with newly bereaved families (in perinatal death) and in my life experiences of suffering, I have seen a strange dynamic over and over and I finally was able to see this behavior repeated enough to learn something from it. Most of us probably consider ourselves as “nice” most of the time and always to those who are suffering. 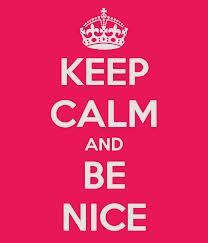 I have seen, however, some seemingly “nice” people turn harsh (nearly punitive) to those who are suffering the worst. What would cause this? What I have come to learn is that scared people are often mean. Yes, you might be certain that you wouldn’t do that, but if disaster befell your peer (especially someone very much like you) you might be surprised at how quickly you could react in hostility in order to convince yourself that you are “safe” from such a thing happening to you. In her book Losing Malcolm – A Mother’s Journey Through Grief, Carol Henderson describes how her peer group of childbearing age women were so difficult and hostile in the wake of her child’s death that she finally had to remover herself completely from them. During a subsequent pregnancy, she took exercise classes with much older women because they had suffered enough to understand and support her better that her peers did. I have seen this so many times that I try to gently prepare my newly bereaved mothers of this dynamic before their re-entry into the aisles of Target where they will meet up with their peers. In Life Touches Life – a Mother’s story of Stillbirth and Healing, Lorraine Ash also described the harsh and accusatory tone that other childbearing women hurt her with after her daughters death. They were so desperate to find some way, any way to convince themselves that the terrible fate that struck Lorraine could not — would not — strike them. They lashed out with absurd statements and questions that inferred that Lorraine had made errors that they would not be foolish enough to make. It would have taken more courage than they had to admit that she was just like them. I think our fear is exacerbated by our societal delusion that we can control everything — that the right actions will always yield the right results. So if we see someone very much like us suffer tragedy, we grasp at the straws of figuring out what they did wrong so that we can avoid it; if we admitted that they did nothing different than we would have then we are vulnerable too. 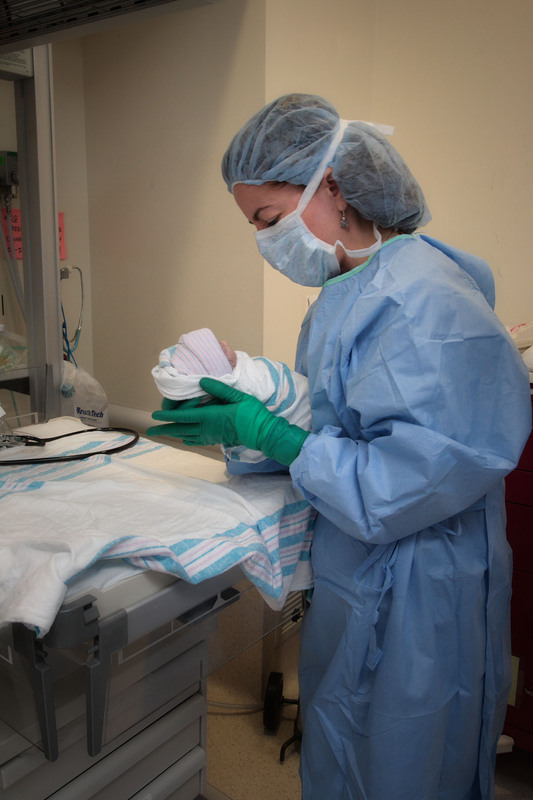 I have found that a very effective tool to help nurses avoid being unintentionally harsh during times of infant death is to educate and prepare them to do their jobs well. Even if the situation is very hard, if the nurse feels well prepared to do a good job, then he or she does not manifest subtle hostility. I say if you ever want to see a seriously miserable human, find a Labor & Delivery nurse caring for a stillbirth case who doesn’t feel prepared. Success is not accidental, to be good at something (especially something that you have almost no exposure to in the general world) requires education and preparation. A nurse who knows she is doing a good job can be compassionate and well applied to the task and walk out of the building knowing she helped someone at one of the most pivotal moments in life. How to do that is a column unto itself but the short answer is “Resolve Through Sharing” training through Bereavement Services in Lacrosse, Wisconsin. How can I translate these ideas to my spiritual life? A Biblegateway search of the RSV Catholic edition for the the term “fear not” yielded 196 results. In the last year my children and I have suffered death, injury, dangerous accidents, loss, sickness, pain, and grief. We were never told that bad things wouldn’t happen (for surely they will and we most often don’t have control over many of our circumstances) but we are told over and over that we don’t need to be afraid. God will not abandon us in our trials, and that has been my experience. Even in the worst moments, I have been given consolation both from God and from caring people. We just learned that Blessed Pope John Paul II will be made a Saint in 2014. This is an ideal time for us to remember his constant instruction and reminder from Scripture to “be not afraid.” We might grow not just in our own experience but in how we treat others, especially those who need our compassion and kindness most. I’ve been reading your blog for a long time now. Was so very saddened to read about the loss of your husband and I hope you are continuing to find peace with each passing day though I know it’s not easy and I’m sure the ache and pain are still so very present. Thank you for this recent post. I hope to go into nursing some day, and would want to be a L&D nurse to specifically work with families who lose a child. Our first child, was stillborn after a perfect pregnancy that ended at nearly 39 weeks when I went into labor only to be told he no longer had a heartbeat. One of my nurses was a friend. The others were good. But they were not great. And you need to be great in situations like that – and oh my do you need to be kind. I know our nurses were kind, we didn’t have any mean ones, but they also were a little stand off-ish. I could tell they didn’t really know how to reach out and support us. I wish they did. I needed someone to walk me through what were the darkest hours, to tell me what to do. I’m glad you do what you do. Thank you. Thanks Caroline (lovely name, my daughters middle name in fact). I am sorry for the loss of your dear one. There are still days in my own bereavement when I think “How can this be? how can he REALLY be dead?” He was such a strong force to reckon with, the idea that in a split second he could cease to be is something my mind can still sometimes not grasp. I feel like I understand my moms better lately…I have a boyfriend and too many people think that my grief must be over since I have a new love. People don’t replace each other and I am still a soul-surviving parent to 3 kids. Noone expects me to reference my grief now…it must be like that when bereaved moms get pregnant again yet still need to speak of the baby who died. What a beautiful blog. I just discovered you through the Conversion Diary, and I am very moved by your posts. I will be reading again, and subscribing. Thank you for blogging and sharing your thoughts and experiences, I really feel I have learned something by coming here.